Are you moving to New York, New Jersey, Maryland, Virginia, Pennsylvania, Rhode Island, Massachusetts, Connecticut, Delaware, or Washington D.C? If so I strongly recommend looking into Verizon Fios for Internet service. If you are like me, you want internet access set up in your new home on day one. 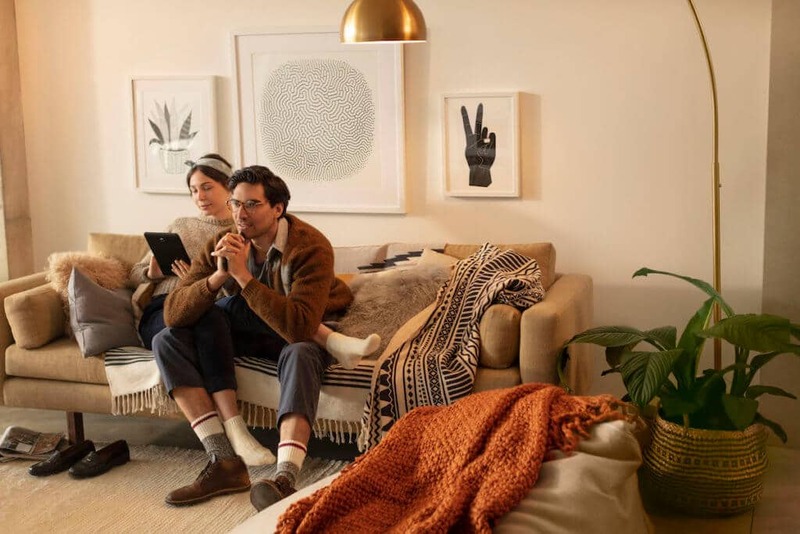 With lightning-fast internet access starting at $39.99* , Fios is the first place I’d look to get your new home connected to the Internet. You can check for the availability of Fios Internet at your new home and some amazing offers, (which I’ll cover later in this article) on Fios’ website. I’ve been using Fios for the last 10 years, and it’s extremely reliable. Fios Gigabit Connection offers download speeds up to 940 Mbps and upload speeds up to 880 Mbps with their fiber-optic network. For a cord cutter like me, it’s critical to have fast dependable internet service to meet all my video streaming needs. Speaking of cord-cutting, this is your last chance to take advantage of Verizon’s offer to cover the cost of a Netflix premium plan for one year, when signing up for Fios Gigabit Connection. With Fios Internet, you can simultaneously stream multiple TV shows or movies in 4K resolution with HDR and still have plenty of bandwidth left for other online activities. Fios will pick up the cost of 12 months of a new or existing Netflix premium plan when you sign up for Fios Gigabit Connection. The Netflix subscription Verizon Fios is covering the costs on over those 12 months is valued at $15.99 per month. The subscription includes streaming select content on 4K enabled devices in 4K resolution with HDR. With Netflix’s premium plan, you can also watch Netflix on 4 devices simultaneously in your new home. Up to a $500 credit to help cover your early termination fee if you are stuck in a contract with another provider. The $99 standard setup charged is waived when ordering online. With Verizon Fios providing nearly a gigabit of download speed, you can stream multiple HDR TV shows or Movies on your 4K TV in that family room and still have bandwidth to spare. There is more than one way to get Fios to help pay for your Netflix. Currently, Verizon Fios will cover a Netflix premium plan for 6 months when you subscribe to Fios 300/300 Mbps Internet for $59.99 per month with Auto Pay (plus taxes, equipment charges, and other fees) with a 2-year price guarantee. Verizon will also waive the standard setup charge of $99 when you order online. Fios will even provide up to a $500 credit to help cover your early termination fee with your current internet provider.